We have long had a debate in the United States about the proper balance of government regulation. Some of these debates are legitimate concerns about government overreach; others have been perpetuated in the private sector to advance narrow economic interests, often at the expense of the general public. Right now, we are having a debate in this country about whether Internet service providers should be allowed virtually limitless control over the free and open Internet. An invention that has been used to topple dictatorships, connect distant friends, expand knowledge to every corner of the globe, and level the playing field for individuals and small businesses is being threatened. 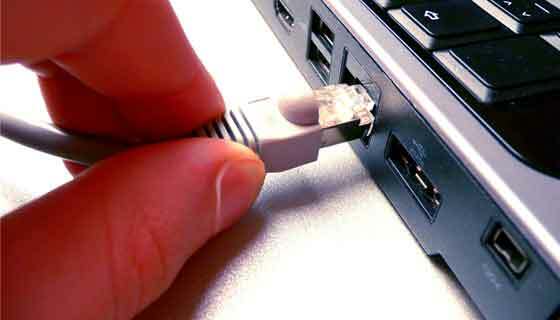 Some argue that the government should not interfere with the Internet as a free market. The problem with this argument is that the government regulates industries for very good reasons — to protect its citizens from overzealous corporations, to look out for the public good, and to ensure competition and compliance with the laws that make our markets operate smoothly and fairly. This is especially important in monopolistic industries where the competition that would theoretically force businesses to vigorously perform for customer satisfaction is lacking. It also fails to recognize that Internet service providers (ISPs) very rarely act in a truly free market. In many places, there is only one player in town — two or three if you are lucky. Much like water and electricity, it is not economically feasible to have multiple providers running their cables throughout a region — which is why in many places you either choose between the cable provider or the phone (DSL) provider. In this sense, Internet providers are very much like a public utility delivering services on a monopolistic basis. You either subscribe to Comcast or AT&T in your city (or whoever your local ISP is) — paying them an exorbitant amount for comparatively slow Internet versus the rest of the world — or you do not get Internet at all. One critical point that opponents of net neutrality like Ted Cruz fail to distinguish is the difference between regulating service providers (the ISPs like Comcast who facilitate the data transfer from your computer) and regulating content providers themselves (i.e. South Bend Voice). However, we also do not want private industry to censor our speech through draconian and arbitrary means — or to exploit a lack of government regulation to line their own pockets at the detriment of society as a whole. This is why net neutrality is so important. Net neutrality is one of those issues where there is a clear understanding of what is right and wrong. Keeping the Internet free from Internet service provider manipulation is essential to make sure that the Internet continues to thrive. Regulating companies like Comcast as utilities would mean that they cannot blackmail companies that actually provide content (such as South Bend Voice or Netflix). 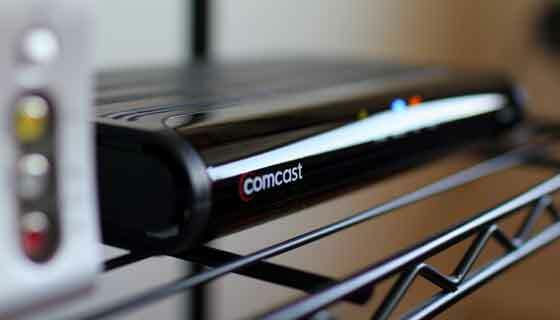 Comcast has already forced Netflix to pay just so that Comcast customers can receive a decent quality connection to Netflix’s servers, even though those people already pay Comcast to receive a certain speed that should be able to connect them anywhere on the Internet. ISPs are essentially double dipping to increase their profits. The cost will get passed on to consumers. This “pay to play” model is disastrous for small companies and start-ups who cannot afford to receive the preferential treatment that a company such as — say, Time Warner — can buy. Or imagine a scenario where an extremely large content provider pays an ISP to throttle competitors’ Internet connections. It should also not be lost that Comcast is a content provider themselves thanks to the (regrettably approved) merger with NBC Universal. Under current law, Comcast can give their own properties preferential treatment over competitors, which they have happily done. Net neutrality would tell ISPs that they would have to treat all traffic equal. Imagine Comcast stifling Internet innovation by forcing their products onto their customers — a faster connection to a Comcast-owned online radio station, slowing connections to competitors like Pandora and Spotify. For that matter, their charges to Netflix will likely continue to increase unabated. Or perhaps AT&T decides that each time you visit Google it re-routes your connection to an AT&T search engine where it allows you to proceed to Google, but only after being warned that the connection on AT&T’s search engine is blazing fast (since Google is now throttled). An extreme scenario, no doubt, but one that would be perfectly legal without net neutrality rules in place. The bottom line is that an Internet without net neutrality is not the Internet as we know it. The world that Comcast, AT&T and Verizon would love to see is one full of market distortions that favor their bottom line. The US government should not allow that to happen. Small websites and start-ups would not be able to compete if ISPs all of a sudden were allowed to throttle readers’ connections and force them to pay up if they wanted people to visit their sites. That’s not a free market. That’s extortion. Thankfully, we do not have to tolerate extortion. Regulating ISPs as the utility that they rightfully are will ensure a free and open Internet for everyone. It’s time for the FCC to act. The time for net neutrality is now. 1 – Does anyone believe that these big companies will not use their influence to eventually turn the regulatory scheme in their favor? 2 – Does anyone expect that when we have let the government crack open the door to more internet regulation that they won’t waltz the 800 pound gorilla right through the door? The way these companies behave is revolting. The problem is that government behavior is often just as revolting with the exception being that Comcast doesn’t have armed agencies. This is one of “those” scenarios where the people are going to get the short end of the stick no matter what.